Of 14 Nigerians that have ruled the country since it gained Independence in 1960, the administration of immediate past president, Dr. Goodluck Jonathan of the Peoples Democratic Party (PDP) has been the most vilified. Apart from the fact that Jonathan emerged President under controversial circumstances in May 2010, with the adoption of the doctrine of necessity after the demise of his predecessor, Alhaji Umaru Yar’ Adua, he became endeared to millions of Nigerians during the 2011 Presidential election. When he contested the 2011 election, there was the sentiment it was not only appropriate to give someone from the minority group a chance to lead the country for the first time, but that his experience, as a former deputy governor, governor and vice president would be of immense benefits that would help him in proper coordination of the affairs of the country. However, eight months after he was fully sworn in on May 29 2011, precisely in January 2012, Jonathan’s removal of the subsidy from oil dented the image of his administration and his personality, one of the major points opposition parties used to flay his government. Throughout his six years in power, his administrative policies were seemingly twisted, misrepresented or miss-interpreted through the well-oiled and organised criticisms of the defunct Action Congress of Nigeria (ACN) now the ruling All Progressives Congress (APC). His good were as vilified as his errors. The leadership of the APC among others latched onto every available media platforms and other information dissemination networks especially the online portals to fault whatever he did; they described his as the most weakest leader the nation ever produced, his government as the most corrupt, visionless among others. He was unable to come out of the image destructive network that was weaved around his government until he lost in the 2015 Presidential election to President Muhammadu Buhari. However, more than a year out of office, Jonathan is still bearing the burden of the many dents of his government particularly the various allegations of corruption leveled against most of his lieutenants. But in the last few months, songs of praises are been sang for Jonathan as some Nigerians, who were once his ardent critics are beginning to do comparative analysis between his government and that of his successor, Buhari. 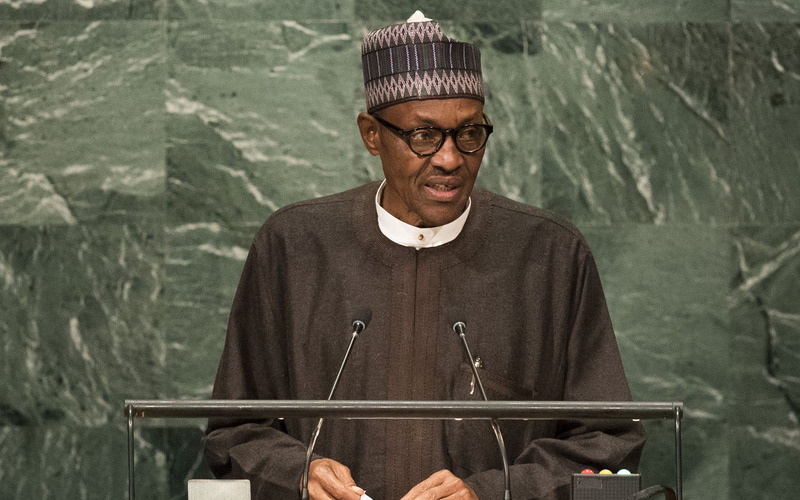 To them the stewardship of Buhari and his promises of ‘Change Agenda’ is getting bored as Nigerians continue to groan under intense hardship, poverty and lack occasioned by economic recession; dilapidated infrastructure to the extent that majority of the members of the ruling party now jokingly referred to one another as “Internally Displaced Politicians (IDP) under the Buhari watch. Using the indices of poverty and cost of living, many Nigerians are beginning to hold the view that the cluelessness of Jonathan, in addressing cogent economic issues was more or less better, compared with what the country has gone through in the last 18 months, under President Buhari. Some even attempted to compare the internal crises that affected the Peoples Democratic Party (PDP) led by Jonathan to the one that the ruling APC is currently undergoing under Buhari, and came to the conclusion that there seems to be littlie or no difference. The incumbent ruling party, is as divided and factionalised as the former ruling, PDP. Last month, in Sokoto State, one of the core northern states, where Jonathan has gone to commiserate with the Sultan of Sokoto and the family of his National Security Advisers, Dasuki Sambo over the death of late Alhaji Ibrahim Dasuki a former Sultan, some Pro-Democracy group, the Wailing Wailers, urged him to come back while they asked President Buhari to honorably resign. 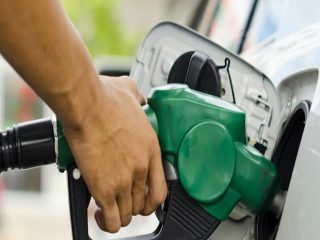 The group in a statement in Abuja, by its Acting National Publicity Secretary, Usman Abubakar, lamented that given the lingering economic woes, as well as the rising inflation rate, it was glaring that President Buhari doesn’t have the solution to the nation’s problems. The group hinged its call on Jonathan to return on the fact that Nigeria’s inflation has risen to a record breaking of 18.3%, claiming that in the history of Nigeria, the last time the country experienced hyper-inflation, depression, recession and famine was when Buhari truncated civil rule in 1984 and took over powers. 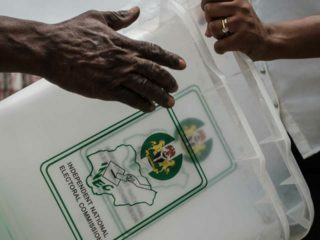 The group also lamented that those who supported Buhari out of ethnic and religious sentiments have now realized their mistake as poverty, which does not respect ethnic group or religion sentiments ravages the nation. One of the northern elites told The Guardian they would prefer any other candidate to Buhari in 2019. Recently also, a PDP lawmaker in Lagos State House of Assembly, Victor Akande made a call on the former President to step into the crisis affecting the PDP as he is in a better position to resolve it. He said it was unfortunate that PDP has not gotten its axe together and that it has not really harmonised and resolve its problems in order to forge ahead, saying: “Mr. Jonathan should come out of his cocoon and put the party aright. A chieftain of Ohanaeze Ndigbo, who prefers anonymity, blamed some South West leaders for what he described ‘the mistake of 2015’, which is already dawning on everyone. But some critics said those clamouring for Jonathan’s second coming or saying he did better were either ignorant or paid sycophants. A former security aide to the Bayelsa State Government, Richard Kpodo, took a swipe at those orchestrating for Jonathan, saying: “The call was not only in bad faith, but an attempt to further institutionalised corruption and poor governance. Kpodo, who is a chieftain of the All Progressive Congress (APC), also absolved President Buhari of any blame over the current nation’s economic recession. He said despite a drastic fall in oil prices, the government has forged ahead and returned monies belonging to states to assist in paying salaries of workers and embarked on development projects,” these were traits strange to the administration of Jonathan. 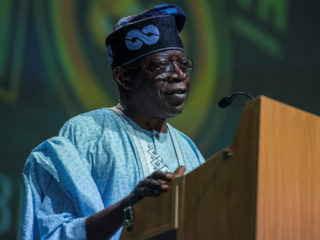 He described Jonathan’s administration as the most corrupt and he has enjoyed cover-ups from sycophants and political jabbers “the Olusegun Obasanjo’s administration earned N17trn from crude oil sales within eight years and left behind 45bn dollars external reserves and 3.348bn dollars external debt. Also, an activist and chieftain of PDP in Delta State, Comrade Elija Ologe said the era of Jonathan has come and gone, consequently he should be left alone. “Jonathan cannot come back, he disappointed every body. He was given opportunity to develop his place and he practically could not do anything. So we need somebody that can turn Nigeria around not Jonathan. “Jonathan has come, he has finished his bit and he has left, so he should not come back. But I am sure that even Jonathan himself is not ready to come back,” he added. In another reaction, Mr. Alex T. Dumbo, a lawyer and State Chairman, Voice of South-South, said Jonathan has paid his dues to the Nigerian project and should be allowed to enjoy his well-deserved retirement. “Be that as it may, Nigerians are enjoined to begin the search for available and very credible sons of the Niger Delta with proven ability and sparkling credentials to render political service to the larger Nigeria. “This line of thought stems from the fact that the Buhari-led APC has failed palpably in 90 per cent of its electoral promises. He added that whatever policies the incumbent government is putting in place are yet to impact positively on the people and there is the need to review it. “I wouldn’t blame whoever says there was relief under Jonathan compared with now, that is the obvious but at the same time, governance is a challenge, I hope the Buhari administration will wake up to the challenge and do the needful,” he stated. If Buhari have met any of these conditions, Nigeria would never have gone into a recession. But Jonathan depleted the reserve and didnt save a dime from all the benefits of high oil price that characterised his six years ruin. All these facts are missing in your report. It is either you were not on this earth then and therefore does not know or you are too beclouded by poverty and your brains have since gone into a coma. Jonathan was owing about 2.5 trillion Naira within the internal economy and a further $5bn in cash calls. It is only in Africa that we celebrate mediocrity and senseless leadership.